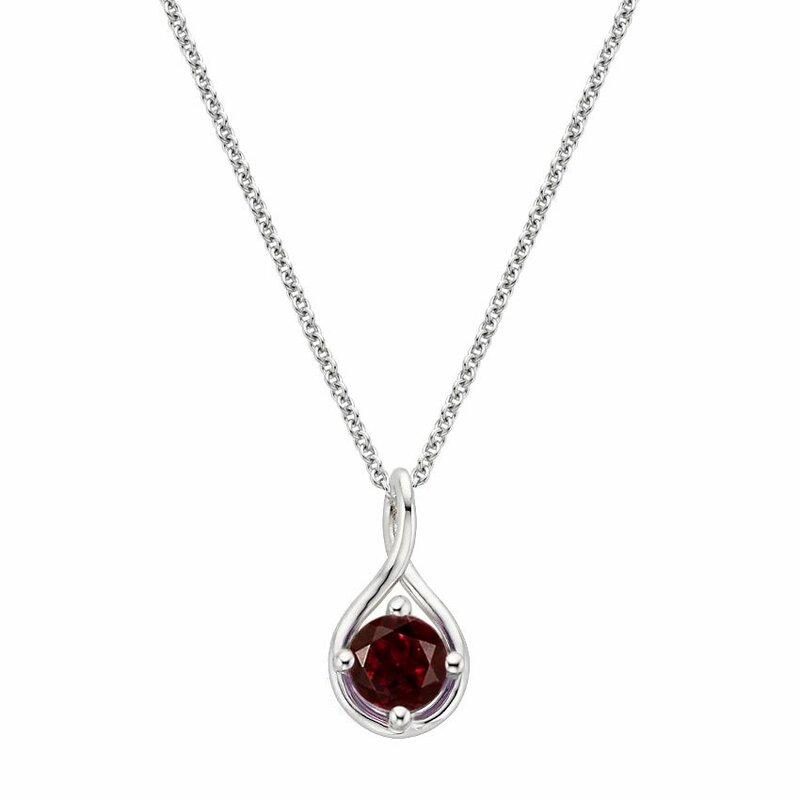 Individuals born in January are associated with the garnet birthstone. Garnets are known for their rich, vivid colors and are associated with peace and prosperity. You probably think of garnets as being deep red. But, these month’s birthday girls actually have many options when it comes to January birthstone jewelry. Did you know that these gems also come in green and purple? And that’s just for starters. 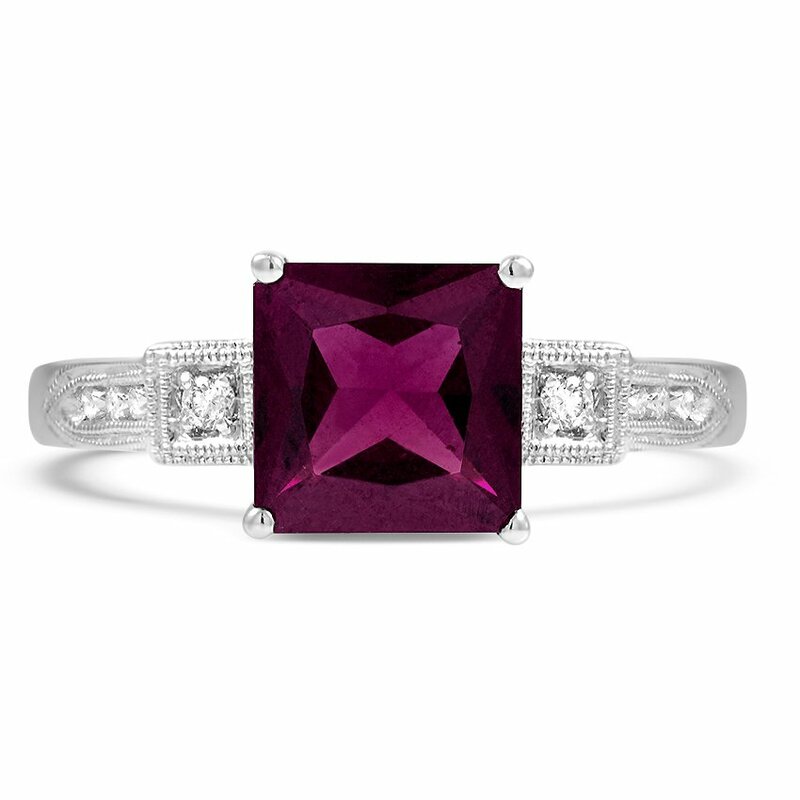 In fact, garnets appear in the greatest range of color of any mineral, pretty much every color except blue. Those well-known deep red garnets are the varieties pyrope and almandine, but you’ll often find fine jewelry made of grape garnets, bright pink-red rhodolite garnets, the gorgeous green tsavorite or demantoid varieties, and orange-red hessonite garnets. Not only do they come in gorgeous colors, garnets can have unique properties that make them especially eye-catching. They sometimes exhibit asterism, a star-shaped pattern of reflections, and chatoyancy, a “cat’s-eye” pattern in reflected light, and can appear to change color under different types of lighting. Garnets have been valued for their beauty since the Bronze Age. The pharaohs of ancient Egypt wore red garnet necklaces, and ancient Roman rulers used rings with carved garnets to stamp the wax on important documents. 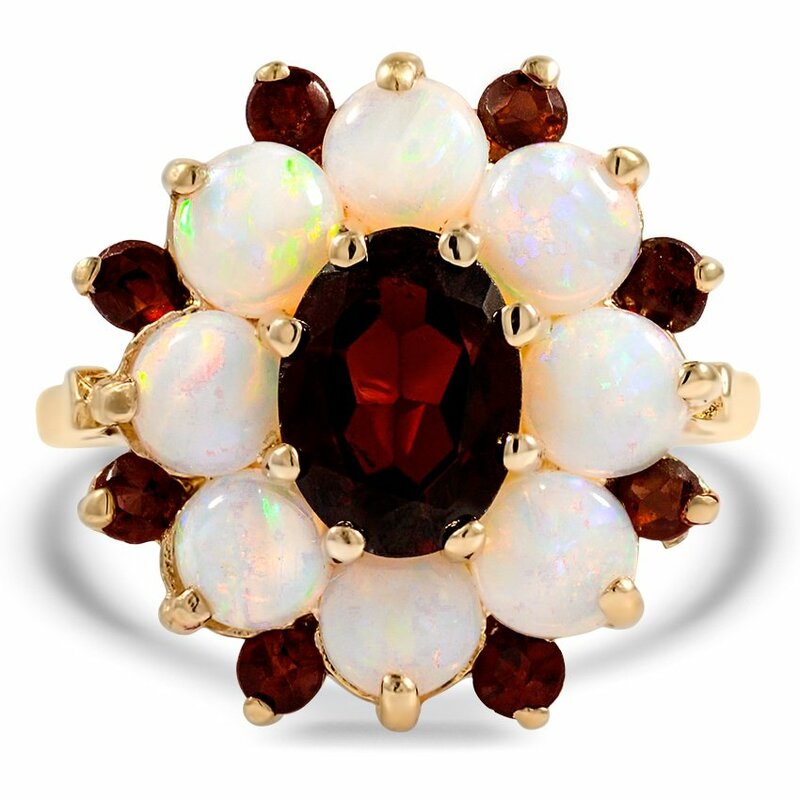 More recently, garnets were very fashionable in the Victorian era. The January birthstone’s meaning has been influenced by many different cultures. They signify friendship, romantic love, sensuality and intimacy, and have been thought to heal and strengthen the blood, heart and lungs. 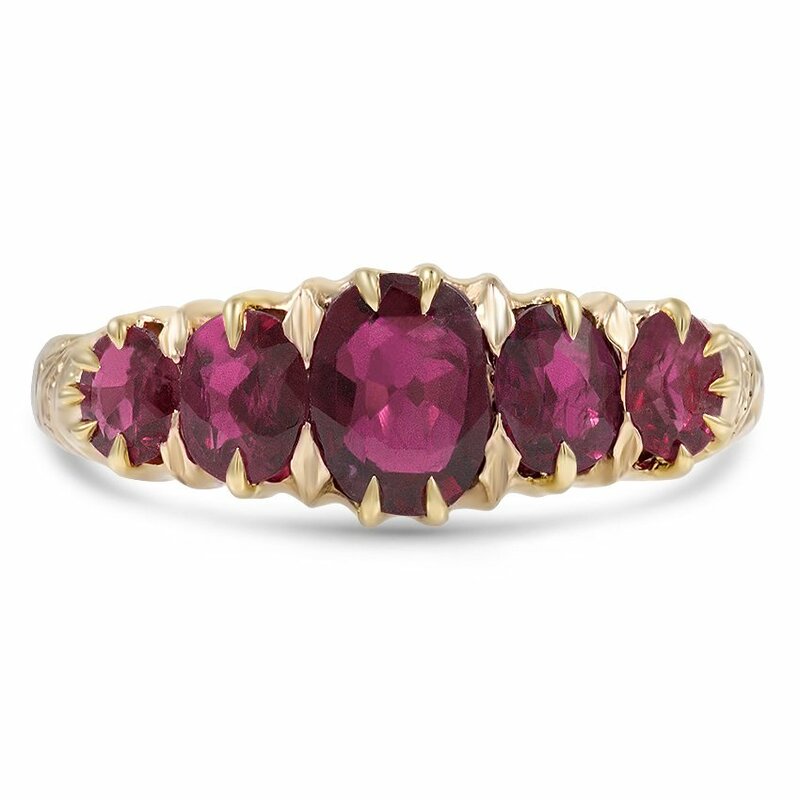 If you’re shopping for a January birthday girl, garnet jewelry is a can’t-miss choice. 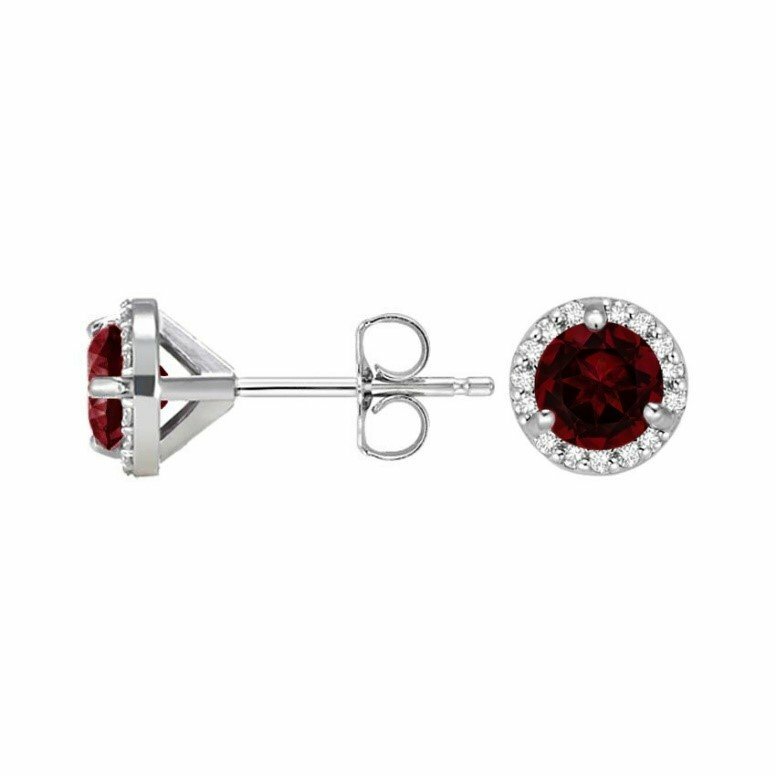 Consider elegant garnet stud earrings, a garnet pendant or a piece of vintage garnet jewelry. Brilliant Earth garnets are sourced from protected reservations in the Southwestern United States, from mines that provide Native Americans with safe livelihoods and which employ eco-friendly mining practices. In the middle range of hardness and toughness, garnets should not be subjected to rough wear, though they are not affected by exposure to light. Clean them with mild soap and warm water. Do you love garnet jewelry? Let us know on Instagram, Facebook, or Twitter, or in the comments below! Hi, nice prices. You should do something for November.